Salted Cod or Bacalhau as it is known in Portugal is a major ingredient in the Portuguese cuisine and is often cooked on social occasions besides being the traditional Christmas Eve dinner in many parts of Portugal. 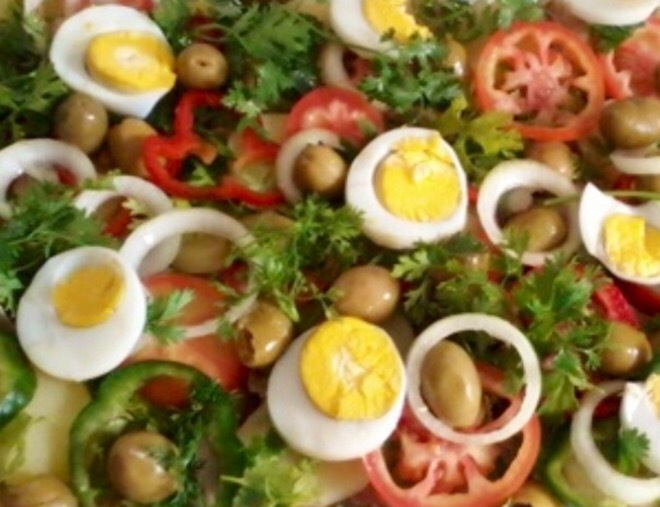 Bacalhau has been produced for at least since the 16th century and Bacalhau dishes can be found in former Portuguese colonies like Angola, Cape Verde, Brazil, Macau and Goa. Similar recipes can also be found across Europe and cuisines of other territories and regions like Dominican Republic and Puerto Rico. 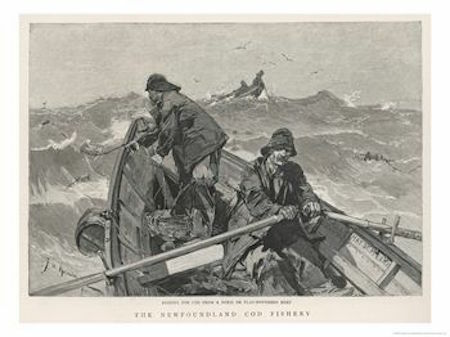 The history of cod goes long back to the period of the Vikings who were in the habit of drying the freshly-fished cod in the cold frosty North Sea winds, until it became hard as a stick and could be easily preserved and consumed as a highly nutritional source of food during their long sea voyages. Cod fish have very low levels of oils, hence making them easier to dry and preserve, as higher level of oils and fats in other fishes prevent the salt water from preserving the fish. Drying and salting also preserve the nutrients and the process makes the cod tastier. The waters around the island of Newfoundland, which today is a Canadian island in the North Atlantic sea was a popular cod fishing area for the Vikings and later the Basque fishermen. By the beginning of the sixteenth century the waters around this island had become seasonal fishing camps for the English, Basque, French and Portuguese fishermen. The Basque, French and Portuguese fishermen salted their fish on board the ships and it was not dried until brought to Europe. The English fishermen who concentrated on fishing inshore, used smaller boats and returned to shore every day, hence they developed a process which combined light salting for a period, followed by thorough washing, and then drying in the open air. In Portugal, the dried fish was quickly becoming a national cuisine, and 'Terra do Bacalhau' (Land of Cod Fish) started appearing on various Portuguese maps and nautical charts, in the early 16th century possibly representing Newfoundland. A reference to these islands can be found in Bartolomé de las Casas writings about Portuguese voyages to Tierra de los Bacallao. Bartolomé de las Casas was a 16th century Spanish historian and Dominican Friar. Though the salted cod fish is called bacalhau in Portugal, it is referred to as bacalao in Castilian Spanish, baccalà in Italian and bacallà in Catalan. 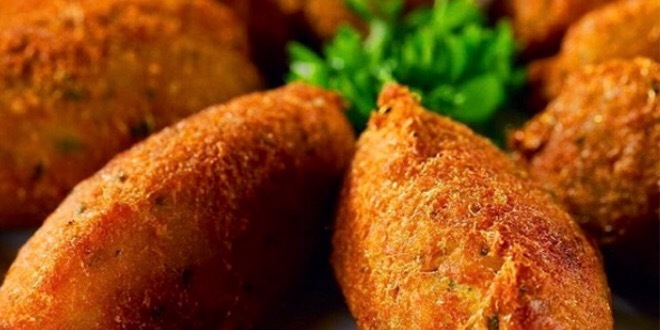 Though the origin of the word bacalhau is not clear, it is plausible that the word may have been derived from the Latin word baculum which means a 'walking stick'. The salting and drying process for the cod, makes it hard as a stick. The popularity of the bacalhau in Portugal, Europe and other countries can be attributed to the fact that it provided an alternative to fresh fish, during times of bad weather, when the fishermen could not go out to sea or during the period of Lent in these largely Catholic countries, where meat was strictly forbidden. The bacalhau was also an important source of food during the long Portuguese explorations and journeys to their colonies. 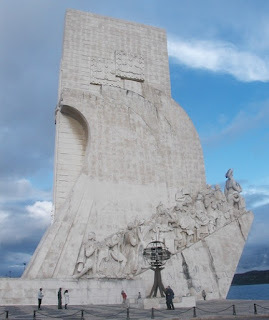 Bacalhau is a symbolic representation of the Portuguese 14th century 'voyages of discovery', past maritime adventures, explorations, fishing traditions and spirit. As a rich and healthy food ingredient, it also lends itself to the human creativity of experimenting with different dishes, and its ability to preserve itself, makes it readily available throughout the year or when the occasion demands. In Portugal they say there are more than 365 ways to cook bacalhau, one for every day of the year. Whatever the exact number, it is an undisputed fact that there are numerous bacalhau recipe variations, depending on the region and tradition. The Portuguese who are the one of the largest processors and consumers of cod, affectionately refer to it as 'fiel amigo' (faithful friend). Bacalhau dishes are prepared on social occasions and is the traditional Christmas Eve dinner in many parts of Portugal. Consoada is a traditional holiday dinner on Christmas Eve that honors dead friends and family who can no longer join in the holiday celebration. Normally empty chairs are left at the table for the 'alminhas a penar' (souls of the dead) to join the feast. Leftovers remain on the table overnight for hungry ghosts who might drop in later. Bacalhau com Natas (Bacalhau and cream) a rich and creamy potato baked dish with onion. Bacalhau à Brás is said to have originated from the Bairro Alto district of Lisbon and combines shredded bacalhau with thinly cut potatoes bound together by scrambled egg and served hot with parsley and black olives. Pasteis de bacalhau is a snack in which the bacalhau is made into croquettes using a mixture of potatoes, onions, eggs and parsley. Today, most of the cod to Portugal usually comes from Norway (bacalhau da Noruega), Iceland (bacalhau da Islândia) or Newfoundland (bacalhau da Terra Nova). The cod is dried and processed in Portuguese factories to produce bacalhau, which besides being locally consumed is also exported to many countries including some of its former colonies where dried fish dishes have their own unique preparation and identity.